Will Cincinnati’s newest soccer team be the one that sticks? The rain is slashing diagonally at UC’s Gettler Stadium on a gloomy Saturday afternoon in late November, gusts of wind blowing dozens of stray soccer balls onto the field, disrupting the scrimmage. More than 100 strikers, midfielders, defenders, and goalies showed up today in hopes of earning a chance to play for FC Cincinnati, the city’s latest attempt at establishing a professional soccer franchise. 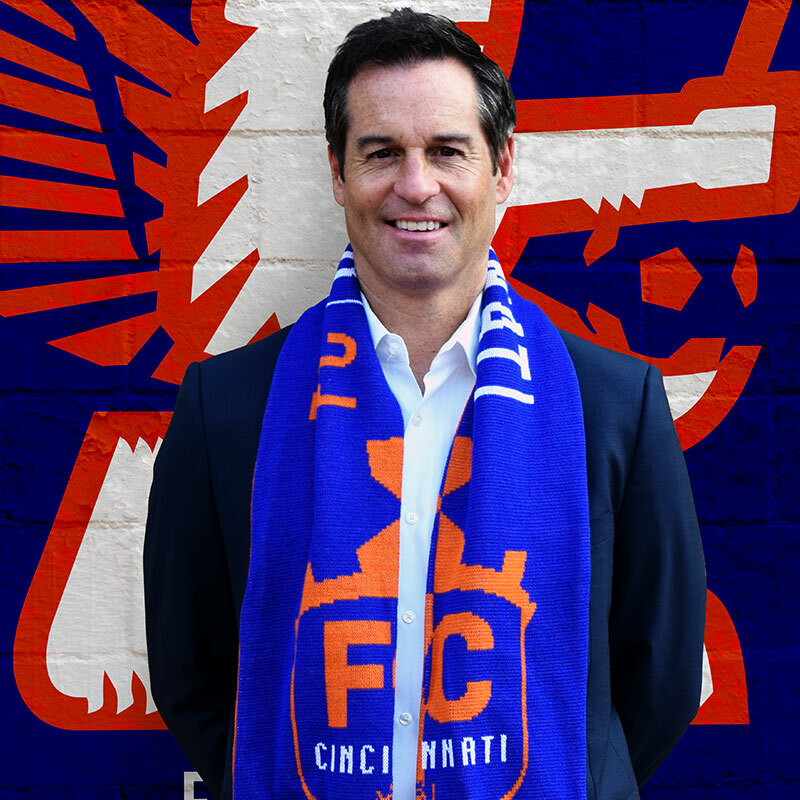 Watching from the sideline, dressed in all black, is former United States National Team captain John Harkes, a pioneer in American soccer and one of those charged with making sure the beautiful game sticks in Cincinnati. 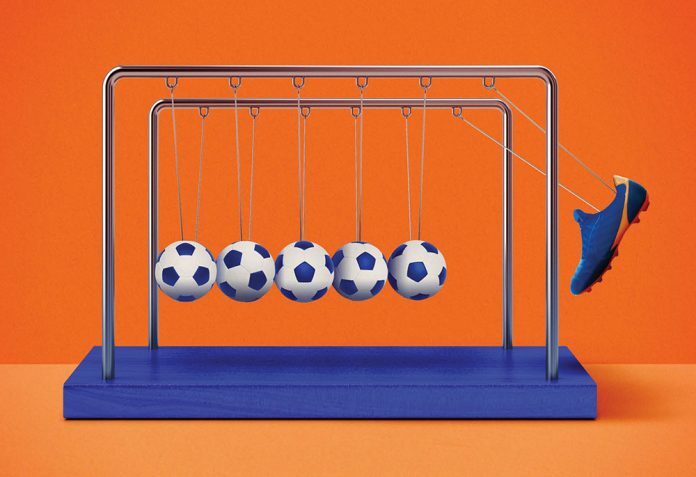 The sport has an ignominious history in the city: 11 professional teams—carrying names like Cheetahs, Silverbacks, and Riverhawks—from various leagues have bit the dust or left town in the last 40 years. None lasted longer than eight seasons. Yet the names behind FC Cincinnati are convinced that this time, things will be different. “There’s never been the ownership that’s required,” says Jeff Berding, who spent 19 years working in sales for the Bengals before leaving to become FC Cincinnati president and general manager. “You have to have ownership that has sufficient capacity to be patient.” Translation: The owners need to have deep pockets and be willing to spend. That’s where having a Lindner backing the club comes in handy. When Berding got involved with the nascent franchise in 2014, he had no intention of leaving the Bengals. But a call from Carl Lindner III has a way of altering priorities. Berding facilitated talks with UC about playing at Nippert Stadium; Lindner, then a board member at the school, saw a chance for his family to own a professional sports team again. With Lindner in place as owner and CEO and the newly renovated Nippert Stadium established as the home field, Berding knew he had the resources necessary to build a team from scratch. Next, he found a coach who shared his vision. “The process of building from brick and mortar is always very intriguing,” Harkes says with a hint of his New Jersey accent. The concept is not new to him. After becoming the first American to play in the English Premier League—generally considered the world’s preeminent soccer division—Harkes returned in 1996 to help launch Major League Soccer (MLS). Following stints in broadcasting and front office positions, he’s on the sideline as head coach for the first time in his career. The team is launching as part of the United Soccer League (USL), which has doubled its size in two years and will field 29 teams for the 2016 season. It’s a notch below MLS, America’s top league, but many of the team’s initial crop of players come with MLS pedigrees. “The fan base is dying to have [soccer] at this level,” says Harkes. Berding feels differently. The response from fans has been overwhelmingly positive, he says. Two months before the first home game, the team claims to have sold roughly 75 percent of the club seating season tickets and has a lofty goal of averaging 10,000 fans per game—which would have been the second highest attendance in the USL in 2015. Berding also has his sights set on the MLS, citing the model of Orlando City SC, which jumped there after only five seasons in the USL. With other teams looking to follow that same model, the five-year timeline is unlikely, but not impossible. FC Cincinnati has the resources and credibility necessary to be a lasting soccer franchise. The proof, however, will be on the pitch.